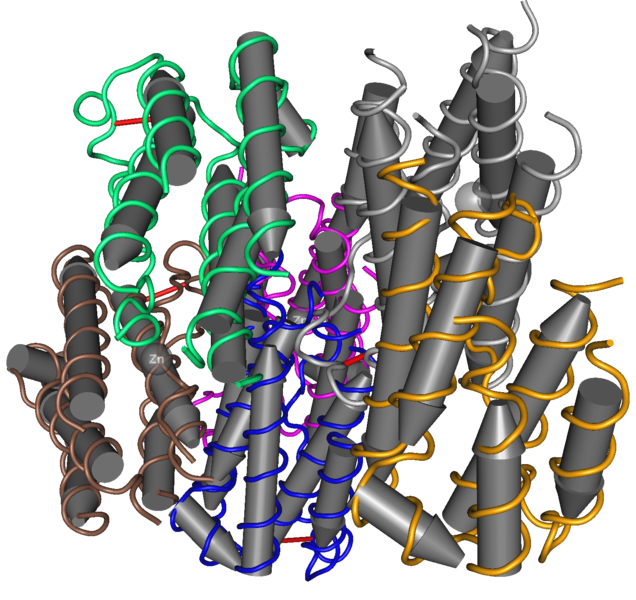 Recombinant Human Interferon-Alpha Pic from the Wikimedia Commons. Interferon alpha is widely used in the treatment of a variety of non-neurological conditions (for example, hepatitis C, Kaposi’s sarcoma, among others). It is in fact currently the only FDA-approved treatment for hepatitis C. Treatment for hepatitis is limited by the striking and adverse neuropsychiatric consequences of interferon alpha treatment (see here for a recent review). These include a marked and severe secondary depressive disorder, suicidal ideation, and less dramatically, a variety of sickness behaviours (including the induction of flu-like symptomatology). Treatment in a hepatitis C cohort is typically successful in no more than around about 50% of treated patients, with approximately 25% of patients being able to sustain only a short course of treatment, and another 25% going off treatment relatively quickly because of the adverse neuropsychiatric consequences. Below are a pair of papers modelling these effects which also focus on behavioural and pharmacological interventions for amelioration of these adverse effects. Physiol Behav. 2008 Sep 3;95(1-2):125-9. doi: 10.1016/j.physbeh.2008.05.008. Epub 2008 May 15. Fahey B, Barlow S, Day JS, O’Mara SM. The anti-viral drug interferon-alpha (IFN-alpha) is widely-known to induce psychiatric and cognitive effects in patients. Previous work has shown that physical exercise can have a positive effect against brain insult. We investigated the effects of a clinically-comparable treatment regime of IFN-alpha on cognitive function in male Wistar rats and assessed the impact of chronic treadmill running on the deficits generated by IFN-alpha. We found that IFN-alpha induced significant impairments in performance on both spatial novelty and object novelty recognition. Chronic forced exercise did not protect against IFN-alpha-induced learning deficits in reactivity to spatial change, but did restore the capacity for novel object recognition in IFN-alpha-treated animals. Behav Brain Res. 2007 Aug 22;182(1):80-7. Epub 2007 May 22. Fahey B, Hickey B, Kelleher D, O’Dwyer AM, O’Mara SM. Interferon-alpha (IFN-alpha) is a naturally occurring human cytokine that is a key therapy in the treatment of several viral diseases and cancers. However, treatment can produce significant neuropsychiatric and neurotoxic adverse events, including depression and anxiety. Here we investigated the effects of a clinically-comparable treatment regime of IFN-alpha on depressive- and anxiety-like behaviour in rats; and also examined frontal-cortical and hippocampal BDNF levels. Rats treated with IFN-alpha for four weeks showed significant increases in depressive- and anxiety-like behaviour. Further experimental investigation revealed that hedonic dysregulation (stronger preference for a sweet solution) did not emerge until the second week of treatment, and became more persistent as treatment progressed. No significant IFN-alpha-induced changes in BDNF levels were found. These results indicate that the affective deficits seen in patients may be modelled in healthy animals. This model may represent a novel tool to investigate the extent of and mechanisms underlying the IFN-alpha psychiatric syndrome.